Social Protection Minister Leo Varadkar, who looks almost certain to replace Enda Kenny. Taoiseach Enda Kenny promised us a democratic revolution - a complete overhaul of the political system the likes of which we'd never seen before. The Ireland of the past would be banished to the history books and the country would become an unrecognisable haven of forward-thinking governance. Cronyism, jobs for the boys and parish pump politics were to become archaic practices of yesteryear. Of course, we know very little of this happened and any reforms which were implemented were borne out of the public's frustration with a political system refusing to change. This is not to say the country does not owe Enda Kenny some gratitude for his six-plus years as Taoiseach. But he is gone now and it is time to move on. Social Protection Minister Leo Varadkar, who looks almost certain to replace Enda Kenny, is making similar pledges ahead of his coronation as Fine Gael leader and unelected Taoiseach. His campaign will be full of promises to bring the party forward and sign a new social contract with the people of Ireland. He tells us he wants to be a Taoiseach who appeals to broad sectors of society and wins over voters who never dreamed of voting for Fine Gael in previous elections. But will Fine Gael look any different under Varadkar? All the signals so far suggest the answer to that question is that there will be no dramatic overhaul at the heart of Government. He will breathe life into a party which is currently struggling to shake off a stale image which has developed after six years in Government and under 15 years of Kenny's leadership. Varadkar will look well on posters and handle himself competently during media interviews and political debates. It would be unfair to suggest he does not have creative ideas around policy but he is hamstrung in what he can achieve due to commitments set out in the Programme for Government, and the Confidence and Supply agreement with Fianna Fail. It is fair to say Varadkar would not be a fan of the terms and conditions set out in either document. So, unless he wants to go to the country to seek his own mandate, he will be forced to abide by the rules of engagement agreed under his predecessor's term in office. This is not to say there is no wriggle room for some policy changes but anything he does will, as has been the case for the past year, need the approval of Independents and Fianna Fail. We know he has some interesting ideas around pensions and tax, and is likely to reveal other policies in the coming days. However, it will be frustrating for a leader, who has promised change and thrives on action, if he is not able to make his mark on Government. But this is what he will inherit when elected leader of Fine Gael. However, Varadkar will have absolute power over the majority of people he surrounds himself with at the Cabinet table - obviously he is stuck with the Independent ministers. He also has the freedom to appoint ministers of state, of which there are currently 13 who are Fine Gael TDs. If he feels particularly shameless, he could appoint as many as 20 junior ministers. Fianna Fail will not and cannot prevent Varadkar from making changes to his ministerial team. Any suggestion they are trying to influence who is given a title would damage Fianna Fail more than it would damage Fine Gael. 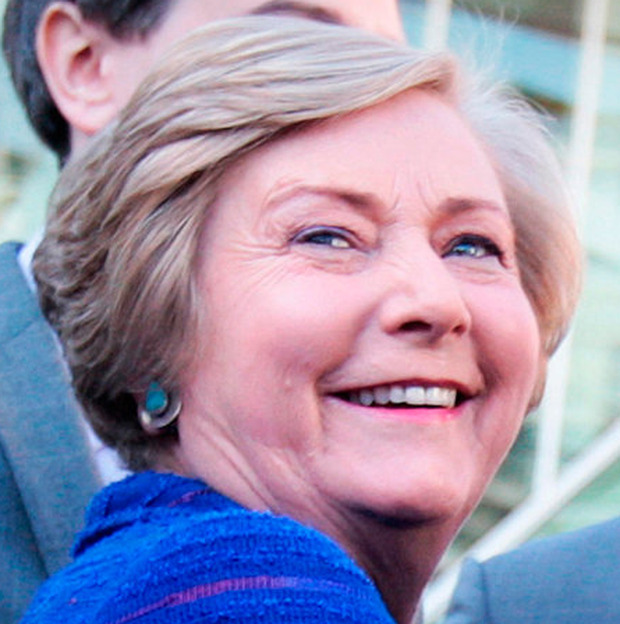 A clear-out of Cabinet ministers would signal a new dawn for Fine Gael. He could rip the ageing ministers from their seats and replace them with a new breed of dynamic, at least borderline, millennials who are anxious to make the country a better place. Varadkar could arrive in the Phoenix Park next month surrounded by ministers all aged between their mid-30s and late-40s. Different faces. New ministers who have not been constants on our television screens and radio airwaves over the past 15 years. Varadkar could unveil a Cabinet so fresh and young it would look like the latest tech start-up firm getting attention from the markets. But this is unlikely to happen. Varadkar's popularity among the parliamentary party is going to cause him trouble in the coming weeks. As of now, he has the support of 45 Oireachtas members and has to keep them all happy. It was easy to keep them happy with the occasional text message or constituency appearance over the past few years but now they will want more. Many of the TDs have been disillusioned with politics after being sidelined by Kenny when he was dishing out the appointments during the past two Dail terms. 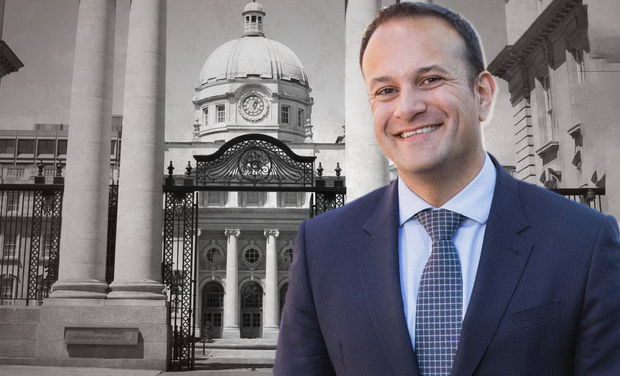 The first batch of TDs unveiled by Team Varadkar last Thursday featured many well-known Fine Gael backbench malcontents and agitators who will be expecting to be rewarded for doing the minister's dirty work in recent months. Those who publicly called for Kenny's head while Varadkar publicly maintained a statesmanlike facade will be aggrieved if they are still sitting in the backbenches. Wexford TD Michael D'Arcy, Dublin Fingal's Alan Farrell, Kerry's Brendan Griffin and Cork South West's Jim Daly along with others all have ambitions and expectations. Junior Finance Minister Eoghan Murphy, who is Varadkar's campaign director, will want to be promoted to a full Cabinet ministry and Carlow Kilkenny TD John Paul Phelan will also want a ministry in return for the work he has put into making Varadkar a Taoiseach. Varadkar's comprehensive backing from serving ministers also poses challenges for the young Taoiseach. Those who declared early will expect to retain their positions in return for their public displays of loyalty. Only Health Minister Simon Harris backed Housing Minister Simon Coveney and he could be set to pay the consequences for his decision. 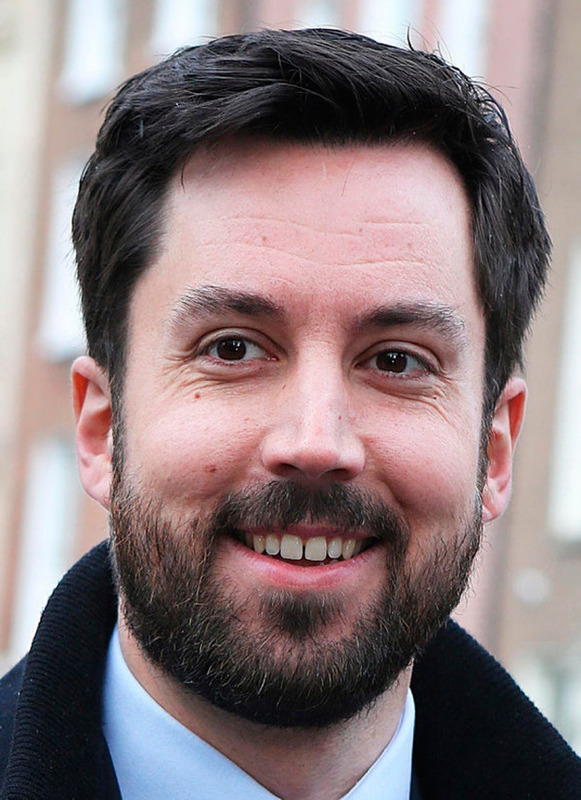 Eoghan Murphy will possibly take over Mary Mitchell O'Connor's position in the Department of Jobs, while she could end up in the Department of Education. John Paul Phelan looks certain to become the new Government Chief Whip, a position he will relish as a political anorak. The current whip Regina Doherty is likely to be promoted but it is unclear where she will end up. One of the major Cabinet changes being tipped is Education Minister Richard Bruton to replace Tanaiste Frances Fitzgerald in the Department of Justice. Fitzgerald's prime role at Varadkar's launch has led to speculation she will remain at Cabinet but there have been no commitments and she was late to the party after her own campaign failed to kick off. Heather Humphrey's Departments of Arts, Heritage, Regional, Rural and Gaeltacht Affairs could be split with the minister being given responsibility for the Arts, Heritage and Gaeltacht element. Michael Ring, who is currently a junior minister in the department, could become a senior minister over Regional and Rural Affairs after weighing in behind Varadkar at his launch. Ring is also being tipped for the Department of Social Protection as he was formerly Fine Gael's spokesman on welfare. Paschal Donohoe is expected to take over from Michael Noonan in the Department of Finance ahead of re-merging the department with Public Expenditure and Reform after a general election. The changes outlined would be cosmetic at best and would not give the impression of a Taoiseach determined to present a brand-new Fine Gael to the public. The minor tweaks at Cabinet could be a holding exercise ahead of an election and the major changes might come once Varadkar receives a mandate. However, he would be better off showing he's not afraid to do a bit of spring cleaning ahead of a winter vote. The Fine Gael parliamentary party makes up 65pc of the total electorate. That makes each of the 73 members' votes worth 0.9pc of the total ballot. Of the remaining electorate, 230 party councillors account for 10pc, while the remaining 25pc is rank and file members. Disco dancing days over, Leo's finally decided that he wants us, but should we want him? Katherine Donnelly, Anne Marie Walsh and Kevin Doyle Teacher leaders claim an end is in sight to their long-running battle over two-tier pay scales after a breakthrough deal with the Government. Cormac McQuinn Taoiseach Leo Varadkar has been in written communication with US First Lady Melania Trump - but is refusing to release his letter on the grounds it constitutes 'international relations'.